Homeless Chef, owner of Moo Milk Bar in Toronto (sadly closed), photographer, recipe developer, food blogger, and now cookbook author & photographer of Modern Israeli Cooking . I have an obsession with food. I love a good family style meal. I will not eat oysters because the texture drives me insane. I don’t have an issue with any other raw food! Just oysters. Oh how I wish I could control my gag reflex. Shame. 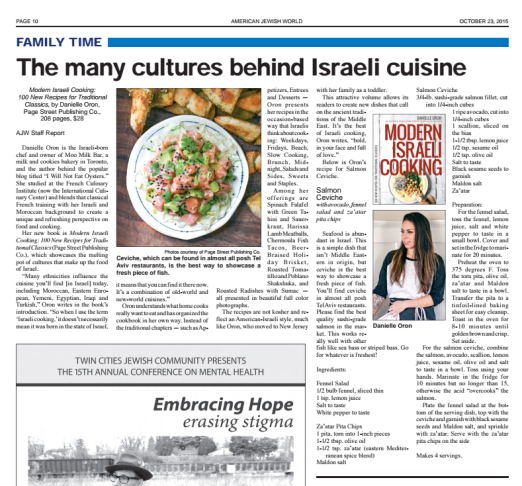 My Israeli and Moroccan background come through in my cooking along with the classic French techniques that I was taught at The French Culinary Institute (now the International Culinary Center). I have worked and consulted in the food world since the age of 22 so I know my way around a restaurant kitchen. 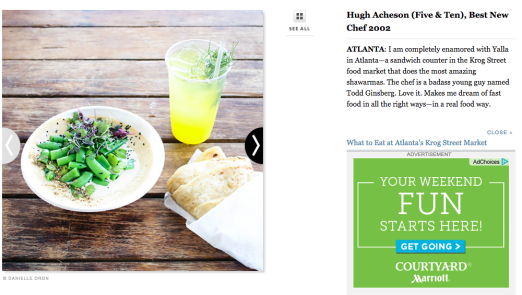 I’m one of a few Chefs turned bloggers. Pretty proud of that. I currently live in Atlanta writing, developing and photographing recipes for other publications along with some restaurant kitchen consulting work. Email me! I love working like an animal. 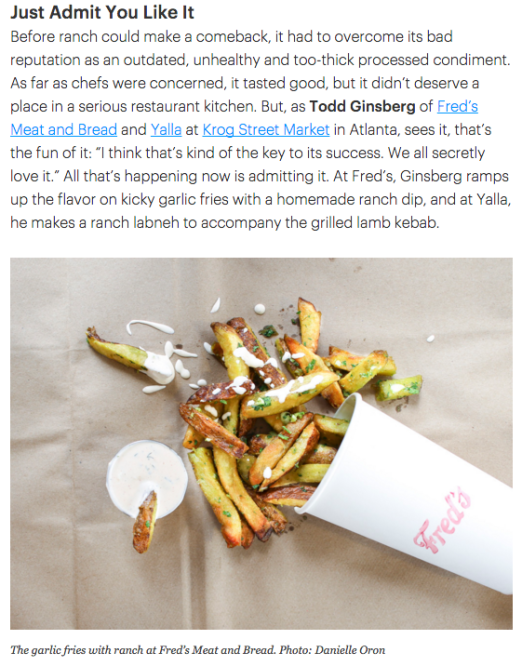 THIS BLOG IS BY NO MEANS KOSHER! Sorry, mom. Eat well, invite friends over, feed the family, and enjoy food… and buy my book. 98.4% of my clothing is black. The rest is grey and white. I might have 1 red shirt. I Tend To Use A Lot Of Unnecessary Capital Letters. Not Sorry. I eat with my mouth open and it drives my husband crazy. I studied at FIT and worked as an Assistant Fashion Designer and Sample Room Manager at Tibi. Total left turn. I’ve been known to make way too much food because of my unmanageable fear of people leaving hungry. Contributor to Yahoo Foods, Pepper Passport, FoodNetwork.ca, and The Nosher. I am available for freelance recipe development, food writing, and food photography! Contact me HERE! 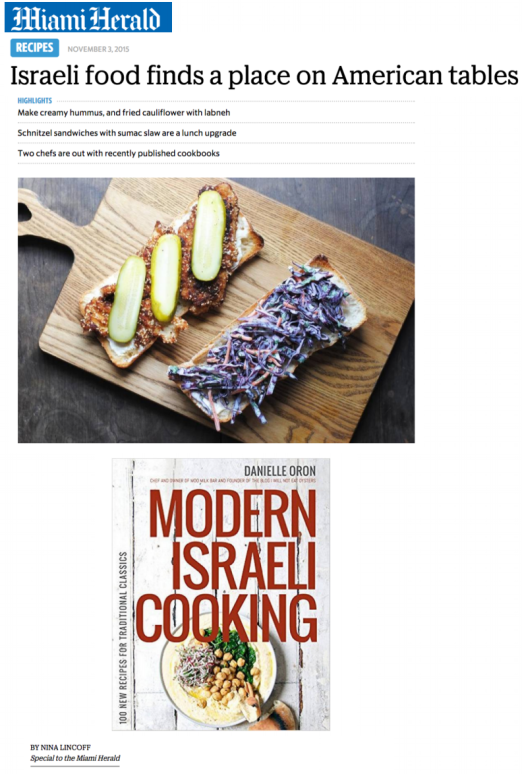 Modern Israeli Cooking is out! Order your copy today! Thank you to Page Street Publishing!